Two incidents in recent weeks showcase the complexity of the challenges facing Israel on its northern front. 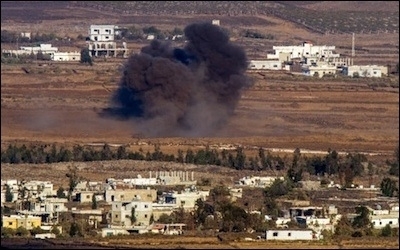 In the first, an air strike killed four members of the Islamic State-affiliated Khalid Ibn al-Walid Army after a patrol of the Golani reconnaissance unit in the southern Golan Heights was targeted by the organization. Israeli aircraft then targeted a facility used by the group in the Wadi Sirhan area. A brutal Khalid Ibn al-Walid Army execution earlier this year. The Khalid Ibn al-Walid Army is a franchise of the Islamic State. It was formed from the merger of two Salafi organizations operating in southern Syria – the Shuhada al-Yarmuk group and the Muthanna organization. The group controls an area of the border east of the Golan Heights, from south of the town of Tasil, down to Syria's border with Jordan. From this area, Khalid Ibn al-Walid is conducting a war against the Syrian rebels to its north. It does not fight the forces of the Syrian government because they are not deployed in its immediate vicinity. A relationship of tolerance and cooperation exists between Israel and non-Islamic State rebels along the border. Islamic State is facing battle for survival in its main domains farther north and in Iraq and it is unlikely to be in a position to contemplate opening a front against a newer and more powerful enemy farther south. The non-Islamic State rebels who control the rest of the border, with the exception of a small regime-controlled part at the northern edge near Beit Jinn, are of lesser concern to Israel. Indeed, a relationship of tolerance and cooperation exists between Israel and elements among those rebels. 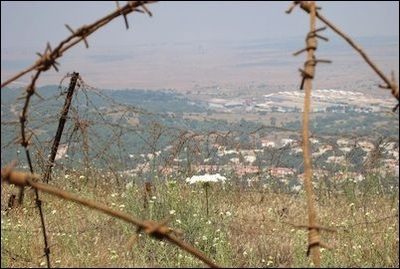 It is probable that Israel will be quietly lobbying Moscow to take account of Israel's security needs on the border when contemplating action in the south. The Russians are not hostile to Israel, but will act according to how they perceive their own interests. Their decision as to whether to allow Assad to reconquer the southwest of his country – and by so doing to allow Iran and Hezbollah to reach the border with Israel – will be decisive.